SteemHunt is a decentralized marketing platform that lets users hunt and dig products then earn steem and hunt tokens. It has grown massively since the sponsorships and delegations it startede from May and it is still developing more features for a better quality of end user experience. 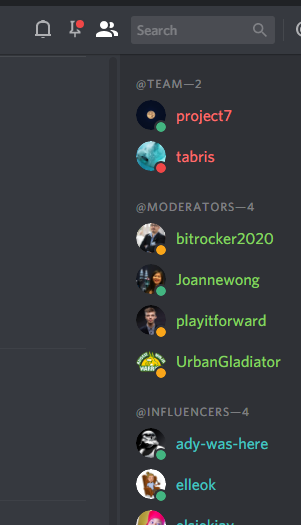 Communication is also essential, because it is a community driven platform, I partly recommend that hunters should be installing discord application into their smart devices (PC/SmartPhone). Click the link above to Join the Official SteemHunt Discord Server. When entering a server, you must follow the basic rules. First example is to read the pinned messages above the discord app. Do not tag everyone, here, and role tags (@@). Do not fight with anyone in any time. This is a community run by the voluntary contributors. So please do not expect to have answers or get helped immediately. We DON’T have any post-promotion channel. Your link will be deleted if you share your hunting or any Steemit posts for promoting. If you constantly share them, you can be blacklisted/banned to use our Discord group. #announcement – all information you need to know about Steemhunt will be here. #questions – you can ask questions here (only for necessary queries for Steemhunt). #random – you can interact with other hunters here. #contributions – If you made some contents (article, video, etc.) that contribute the Steemhunt project, you can share your link here. Please DO NOT SHARE your hunting post. #report-comment-abusers – If you find some hunters constantly leaving irreverent comments on hunting posts in order to milk Steemhunt voting pool, you can report here with the name and link. #bug-reports – when you find any bugs on our website, please report here. #moderation-appeal – If you think your moderation result has some issues, please use this channel. unable to follow the rules will receive a warning, to be followed with a server ban or a blacklist.